In association with nzpetrolhead.co.nz on the first Sunday of every month we play host to the owners of fabulous hot rods and classic cars from 9am – 11am. 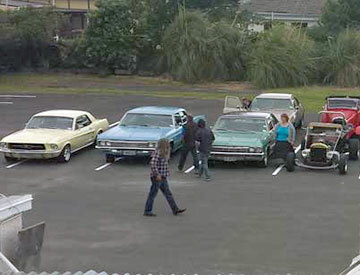 Often visiting car clubs around New Zealand will attend these fun breakfast events. Come and check out the awesome cars and grab a bite to eat. Hot rods and food what more could you want?